What's the Best Phone Tripod? 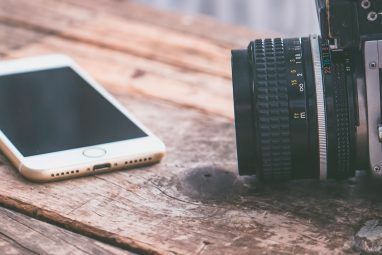 For most people, phone cameras have become good enough 6 Reasons Your Smartphone Is the Best Camera You Own 6 Reasons Your Smartphone Is the Best Camera You Own It might not be a digital SLR, but your smartphone is punching well above its weight when it comes to photography. The next time you go out, leave your old point and shoot at home. Read More to replace proper cameras. From shooting videos to taking that perfect landscape photo, your handset does a terrific job. But phones are much more susceptible to the shake of your hand due to their light bodies. Much like tripods help with regular cameras, they also assist in steadying the shot for smartphones. There isn’t one “best” tripod; it’s more about what you need. 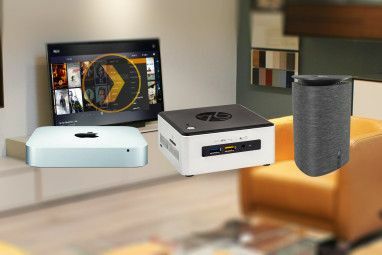 We rounded up a few of the top-reviewed models here so you can choose one, whether for yourself or to make it the perfect tech gift for someone. If you are new to the world of tripods, this is one thing you need to know: The “tripod” is the three-legged stand itself. But how do you attach your phone to it? That’s where you need a “mount”—a specialized instrument that screws onto the tripod. Most tripods and mounts have a standard screw size. Look for the label “1/4-20” on the mount and it will fit any of the tripods mentioned below. You could make your own DIY mount for cheap 3 Cheap & Easy DIY Smartphone Tripod Mounts Made & Tested 3 Cheap & Easy DIY Smartphone Tripod Mounts Made & Tested Unless you are an avid photographer, you'll hardly miss the added features of a proper camera. Too bad your tripod isn't compatible with your smartphone. Or is it? Maybe one day smartphones will come with... Read More , or buy one from a store. There is a broad range of mounts out there. Don’t worry about iPhone or Android compatibility here; mounts are usually standardized for any phone. What you need to check is how big a handset it will fit, usually demarcated in inches or millimeters. Make sure the size fits your phone or any of the popular Android phablets. The top recommended mount is the $30 Glif, with Joby’s GripTight Pro coming a close second. But first, check if your tripod ships with a mount or not. Many of these, like Joby’s GripTight (non-Pro), are good enough that you don’t need to buy a mount of your own. But you can always upgrade if you feel like it. Check whether the tripod needs a mount or not. Check if it ships with a mount already. If it doesn’t ship with a mount, add the cost of a good mount to the price tag before you make a decision. The Joby Mpod Mini isn’t technically a tripod for photos; it’s meant to be a smartphone stand How To Make Your Own iPod/iPhone/Smartphone Stand How To Make Your Own iPod/iPhone/Smartphone Stand When you've spent quite a few bucks on your MP3 player or smartphone, the last thing you need is an overpriced accessory that you can easily make yourself. 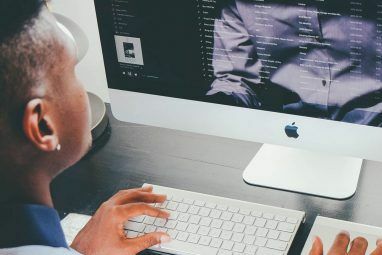 Plenty of individuals on the Internet have... Read More . However, its compact design and stability make it a good option for portability. The Mpod Mini doesn’t need a mount; it has its own rubber band-like “jaws” which clips onto the phone. When not in use, the jaws look like a tiny button, making it less bulky than any other tripod and mount combination. It has three flexible legs, which make it stable on uneven surfaces since you can bend the legs to choose the perfect height for each foot. Make sure one leg is on the phone so that you get the balance right, and it doesn’t fall over. A tripod’s purpose is to stabilize your shot so that your hand’s jerky movements don’t make the picture blurry. ChargerCity’s Pistol is both a tripod and also a handheld stabilizer pistol, so you can carry it around while keeping your shot steady. Its pistol-like design makes it easy to hold and move, especially when you are recording videos. There isn’t a button on the device to trigger the shutter or play/pause though, so you will need to use your other hand for that. Plus, in handheld mode, you can also turn it 90 degrees to take portrait shots. In tripod mode, it’s apparently restricted only to landscape images, but multiple reviewers have said that it is far more stable than many of the devices they have tried. Plus, the easy transition between tripod mode and pistol mode allows you to use it in more than one way without stopping your shoot. The included mount has also received praise for fitting thick devices (including a Galaxy Note with a thick case and a Nexus 5 with a large battery pack), so most phones should be able to sit comfortable in the Pistol. Joby’s two GorillaPod stands have long ruled the roost as smartphone tripods and spawned plenty of copies that couldn’t match up. Such has been its dominance that even decent flexible tripods, like those from Dynex, have been discontinued — Joby this market segment. The GorillaPods have three adjustable legs, which can wrap around pillars and stay in place, or bend in weird shapes on uneven surfaces. It lets you fix a stable tripod for your smartphone almost anywhere. And you can turn the phone 90 degrees on either side for portrait shots. GorillaPods come in two variants for the base of the legs: rubberized soles, for gripping on surfaces like wood or stone, and magnetic legs. The rubberized model is the most popular verion of the GorillaPod, and a good beginner’s tool if you’re buying your first stand. The magnetic soles have a rubberized finish for the same grip, but also have a magnet in them that will attach to metallic surfaces like your car. Apparently, the magnetic GorillaPod costs more, but choosing between these two variants is a matter of personal choice and budget. Both GorillaPods come with Joby’s GripTight mount, which is among the better mounts you can buy. Before you purchase it though, check the option for “larger phones” or “smaller phones” based on your need. The Lollipod aluminum construction permits an incredible 320-gram weight. Its light construction comes with pros and cons. The weight makes it easy to carry it with you everywhere, unlike most other long-leg tripods. But some reviewers have talked about its inability to stay steady at high altitudes when you have gusty winds. To stabilize the mount, there’s a special net at the bottom in which you can add stones or any heavy item around you so that the center holds true. It doesn’t ship with a mount, so feel free to add any of the recommendations above or you can buy Lollipod’s mount. What’s interesting is that the mount can be turned a full 360 degrees, letting you take panorama shots 5 Tips for Taking Panoramic Photos With Your Smartphone 5 Tips for Taking Panoramic Photos With Your Smartphone Panoramic images of stunning landscapes almost always look marvellous, but they can be extremely difficult to create. Using a smartphone, there are various techniques and tricks which you can employ to get the best results. Read More and 360-degree Facebook videos What Are Facebook's 360-Degree Videos and How Do You Upload Your Own? What Are Facebook's 360-Degree Videos and How Do You Upload Your Own? Mark Zuckerberg recently unveiled something new coming to your News Feed. It's called 360 Videos, and Zuckerberg thinks it's the future of watching videos. Read More . The mount can also tilt 90 degrees when you want a portrait photo instead. The reason I’d recommend the Lollipod over other standard long-legged tripods is that those are usually overkill for a smartphone, ending up with bulky and cumbersome devices. The Lollipod is made for phones, which is why it is lightweight enough to carry with you anywhere, keep itself steady, and folds into a wonderful compact package. 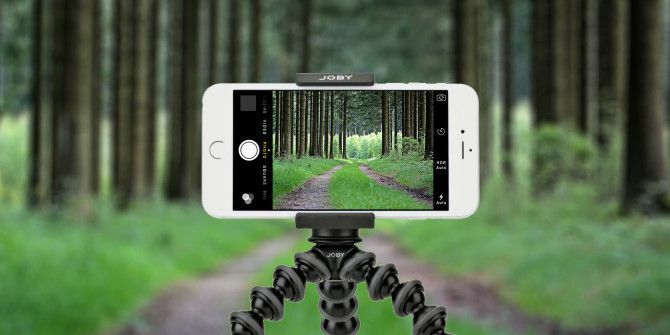 My choice from this list is clear, I think the GorillaPod is by far the best phone tripod out there, and other GorillaPod users from the MakeUseOf staff agree too. The default GripTight is good enough for me, although I know several users who swear by the GripTight Pro. Tell us which tripod or mount you’ve got and why you like it so much. If you’re waiting for an upcoming tripod, we’d love to hear about that too! And finally, add any tips to buy a tripod The Camera Tripod Buying Guide For Beginners The Camera Tripod Buying Guide For Beginners Tired of camera shake ruining your photos? Want to take time-lapse shots or long exposure photos? Tripods allow for all of these, so if you don't have one, why not? Read More . Explore more about: Buying Tips, iPhone, Smartphone Photography. wow its really nice but how much is that when it convert to peso ? While the gorilla pod does the job it fails in one major area. Its size. If youre less likely to carry it with you.. its far less useful. These can even be tossed in a woman's clutch. And as a webcam for my Skype using another app. I also mount small camera flashes to them from time to time.. which weigh far more than my iPhone. Never a problem. Excellent bit of kit , and just miles ahead of the competition when it comes time to actually pack one to take with you.